Comfortable, pressure relieving latex free invalid ring. 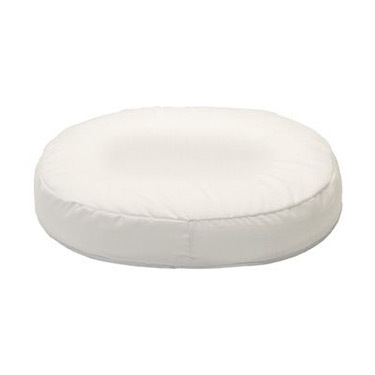 Foam cushion with washable cover. Weight capacity: 250 pounds. Dimensions: 16" x 13" x 2.75" high. This pillow is oval shaped, not round. My husband thinks it's the greatest thing I bought for him. My husband carries the pillow everywhere he's going to set. He stated it's heaven to him. Pros:Husband say's he doesn't have the pain he was having now at all.